"A few weeks ago, we had a bad storm. 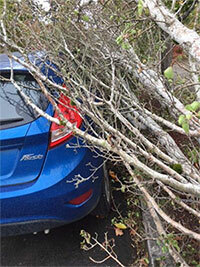 The intense wind pushed a tree on my street down - right onto my car. I was pretty lucky the tree came down along side the car with no serious damage, but there were scratches, dents and the passenger-side mirror was knocked loose. "My insurance company has a drop off location for convenient repairs. I didn't really know where to take my car, and I had a trip coming up, so this convenience made it an easy decision. I wouldn't have to spend time trying to find a reputable repair shop. "While on my trip, I got a call from my claim representative that the repair shop had been able to polish off most of the scratches and if I could live with a small chip in the paint, they'd take $150 off my deductible. Being mostly concerned about the mirror and the dents, I agreed and hoped I'd get my car back earlier than expected. About a week later, I got a voicemail saying my car would be ready the following Tuesday, later than I'd originally been told. I called back, pretty annoyed. My claim representative was out, but the back-up rep listened about how I'd been told Friday and thought maybe it would be earlier since they didn't have to paint. This was a misunderstanding and she went through the whole work order with me, they had actually painted, just not the roof. Then she double checked the date and apologized, it had been a mix-up earlier. I ended that call a lot less frustrated than I started out. "Later that night, I got a call from the same rep who said 'You'll never believe it. The shop just dropped off your car.' When I got there, my car looked nearly brand new. The shop had even cleaned up scuffs from other incidents I'd pointed out to the insurance adjuster that shop didn't get paid for. Plus, the chip I'd gotten a discount for was so small I almost didn't find it. When I got in my car, I saw a thank you note from the body shop propped on my dash. I hadn't even requested they do my repairs and they still thanked me! "The lesson I learned from this experience is that customer service experiences are influenced by convenience, choice, communication and going the extra mile. I appreciated the convenience of the drop off location and the option of taking the discount. Misunderstanding and a mistake made me frustrated, but the back-up rep clearly communicating with me made my frustration vanish. The extra mile service of the body shop means I won't forget them if I need future repairs. The action I call you to take is save time for your customers - make it convenient, give them choices, communicate clearly and go the extra mile. 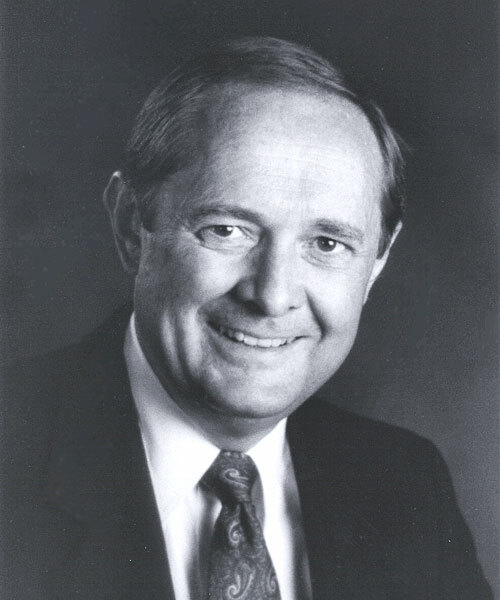 The benefit you will gain is happy customers coming back and bringing others." 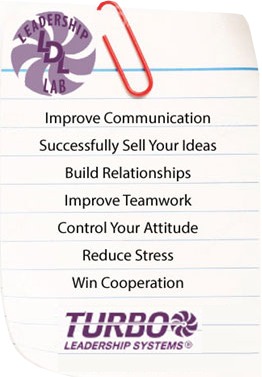 Turbo's Leadership Development Lab begins tonight in Vancouver! Turbo's Leadership Development Lab (LDL) dramatically enhances your leadership team's ability to give supportive feedback, build trust, gain respect, sell ideas, and empower others for improved results. The next open enrollment LDL is scheduled to start tonight in Vancouver and we are also building a class in the Salem area.